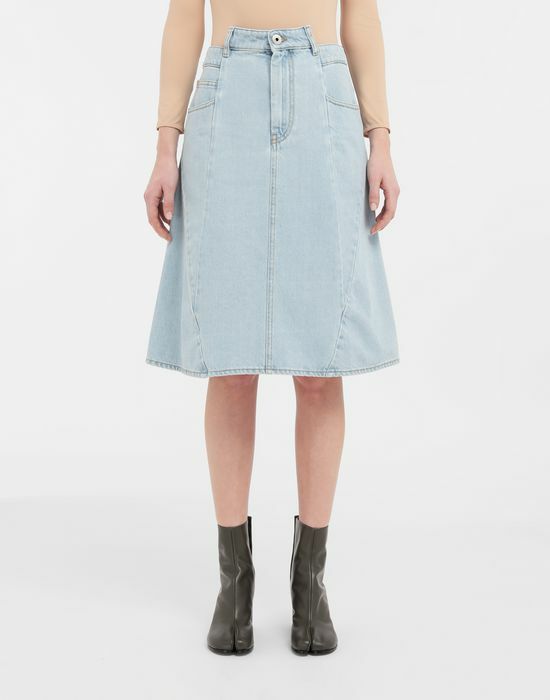 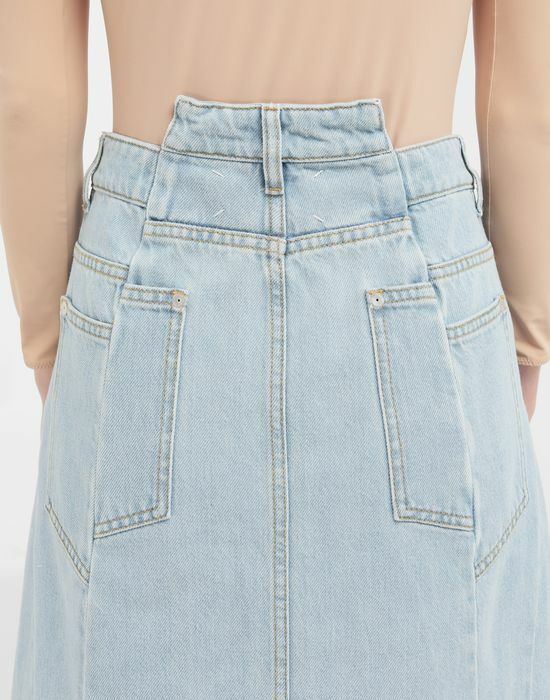 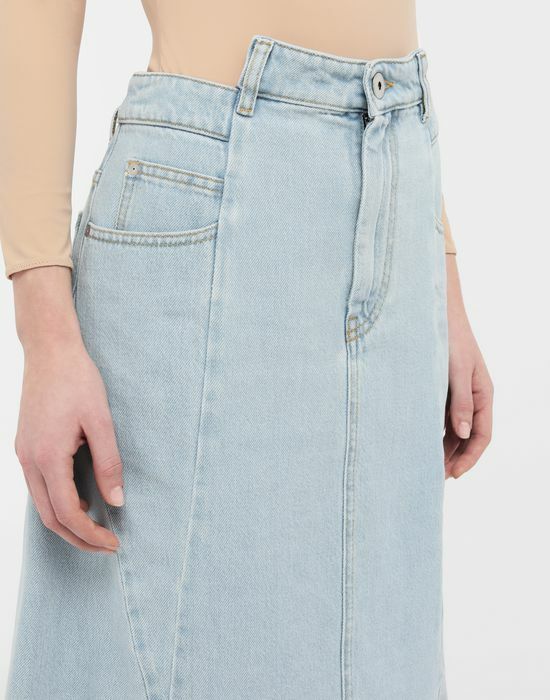 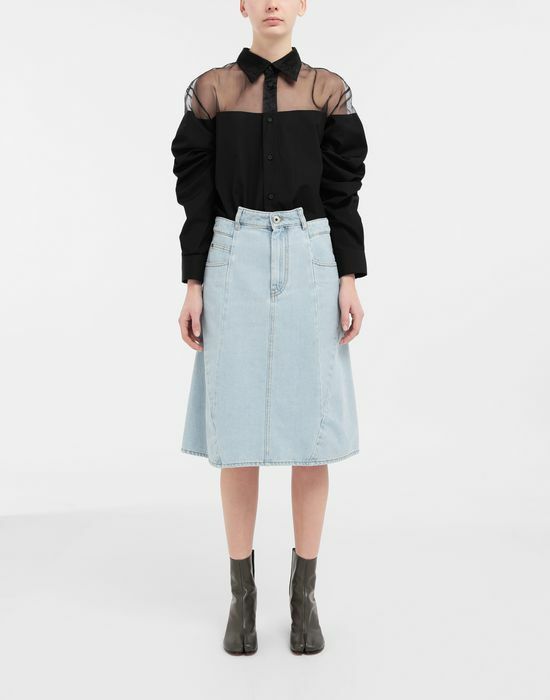 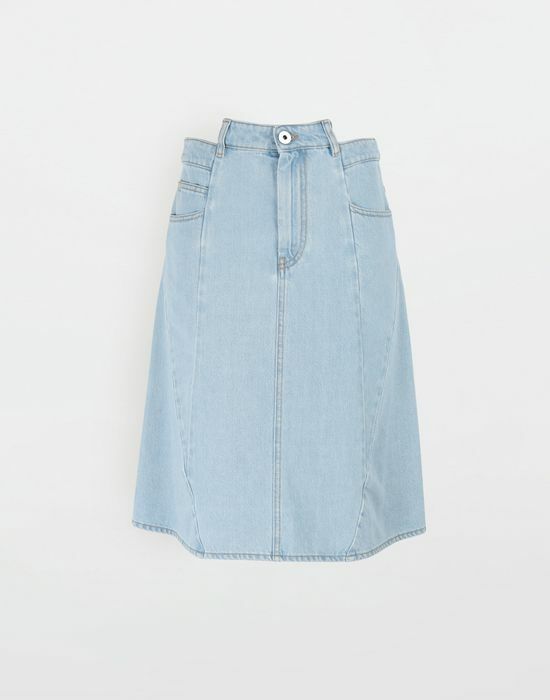 Cut at the knee, this denim skirt features the Maison's iconic Décortiqué design code. 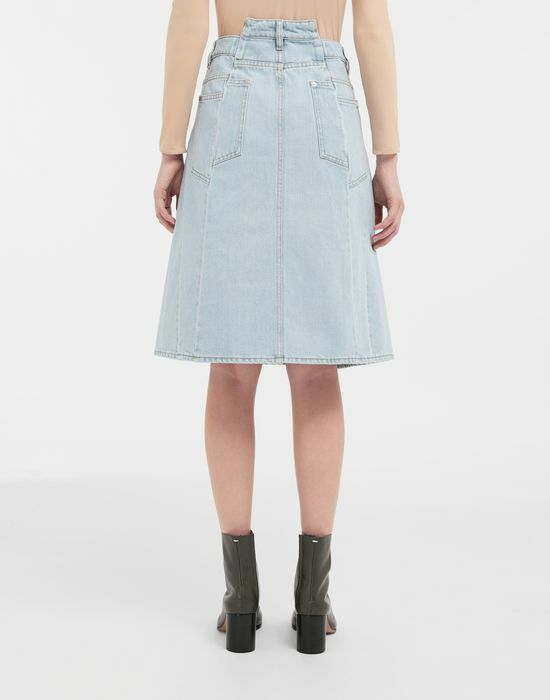 Crafted in stonewashed denim, the A-line design has been deconstructed and reworked into a new silhouette. 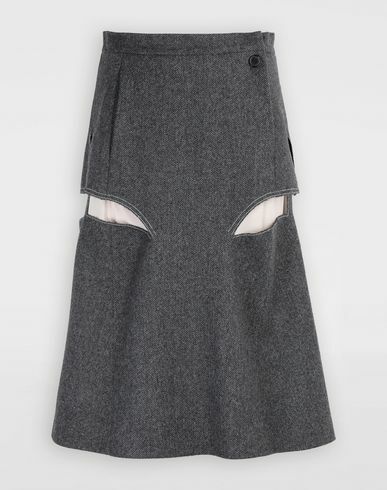 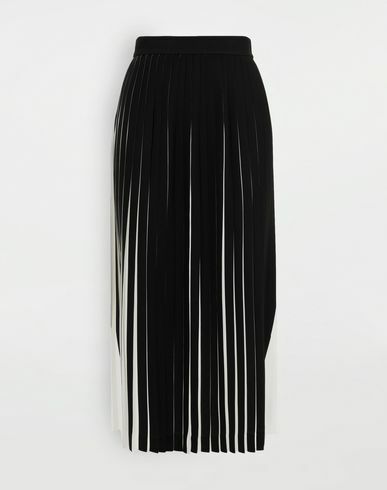 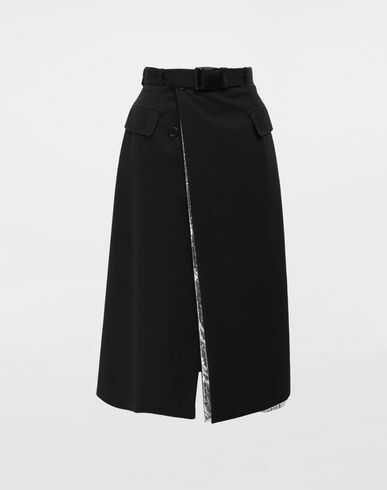 This skirt features a hidden fly front fastening and the classic five-pocket detailing.